The Foundation is excited to be participating in the 2017 Visitor Industry Charity Walk. 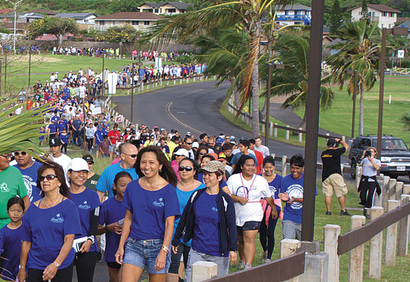 The Charity Walk provides the Foundation (and other non-profits) the opportunity to raise money for themselves, tied to an established event, and receive additional funding through a matching funds program. We are reaching out to alumni classes, student clubs & teams, and our board members to join in this tremendous opportunity. Click on "See Team Members" to see if your class is listed. If it is, click their link to donate. If you are not a part of a team, then just click on "Register or Donate" , your donation will be credited to the Foundation. Please include the 2.5% fee when donating.